Located about 25mins. 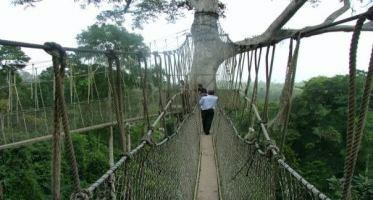 drive from Cape-Coast, Kakum is a virgin tropical rain forest with abundant of very tall trees, medicinal plants, birds and diverse insects and mammals. 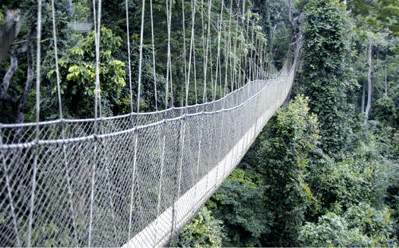 Kakum National Park covers an estimated area of about 357km square. 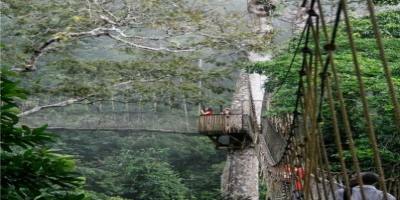 Most trees have an average height of about 65m, making it ideal for it's suspended canopy walk. 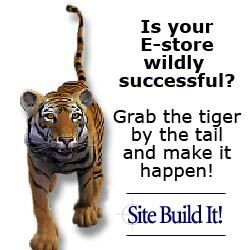 It accommodates about 550 species of beautiful butterflies you can't find any where on this planet. Some of the world's most important species of birds approximating about 200 are also found here. Check out some of the nicest and affordable hotels in and around Cape Coast during your visit in this historic city. Mammals and some primates are also members of this ecosystem. Some of the world's most endangered animals like the Diana Monkey, Bongos and Forest Elephants are also representing on the forest floor and they are very difficult to spot from above. The canopy walk suspended above the forest floor is one of a kind you'll never see any where in Africa. This gives a you a bird's eye view and nothing can be missed below. For birds watching,(the bird's eye view to watch birds) this is the ultimate position anyone would want to be, to be able to admire all the beautiful birds and insects inhabiting the forest. Going on the canopy walk is easy from a low point and becomes increasingly scary as you proceed from one step to the next with increasing height and swinging. It attains a maximum height of about 70m high. Finishing the 7th step was a big achievement for people like me. My first time on the canopy walk was very challenging and adrenaline pumped but fun although I'm height-phobia. So it took me about 30mins. to complete the seven bridges which could have been covered in 10mins. Its not advisable for people who are scared of heights but who cares, if I did it, you too can. Heck..... its pure fun. The Kakum national park is the ideal choice for you if you appreciate nature just like me and love adventure, hiking and camping. Bird watching was the ultimate aim of the construction of the "sky walk". In other to enjoy the park and comb through the forest, a local guide is recommended. The local tour guides are located right at the entrance. Some of the things they teach you include how to spot animal foot prints, history and myths about some trees etc..etc.. This can also be a good research resource for Environmentalists, Botanists and Eco-tourists just to name a few. I highly recommend you also STOP and checkout Hans Cottage Botel on your way back to refresh, dine and watch live crocs underneath you.